Jessica Guilfoil Killeen, APRN is a native to Atlanta, GA. She received a Bachelor of Science in Biology from University of Georgia, a Bachelor of Science in Nursing from Emory University and a Master of Science in Nursing from Emory University. She was inducted into Sigma Theta Tau International, the honor society of nursing. She is NCC-certified as a Women’s Health Nurse Practitioner and ANCC-certified as an Adult Health Nurse Practitioner. Jessica joined Avant Gynecology in 2009. 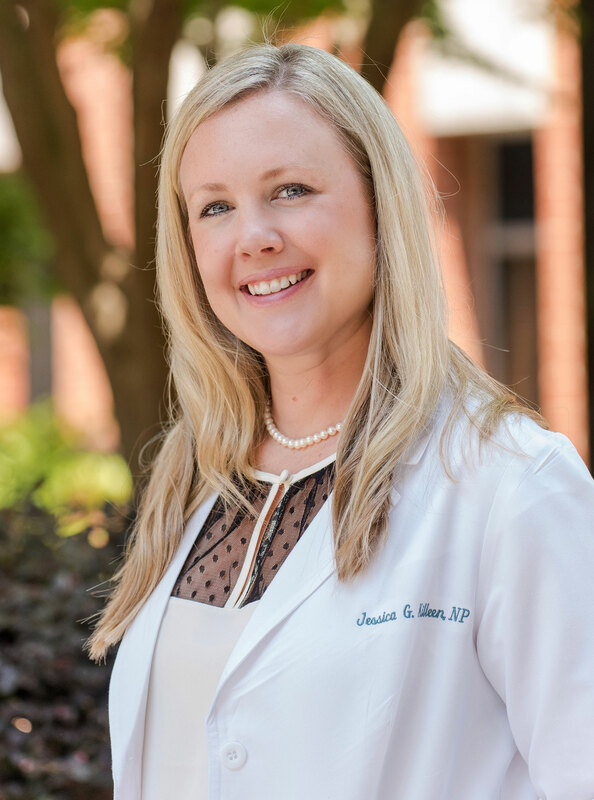 In addition to experience providing gynecologic care to women, Jessica has over 10 years of experience in performing cosmetic treatments with Botox® and dermal fillers. Jessica enjoys cooking, gardening, and spending time with her family.